Ball in claw post leg with arched frame. Shown in Burnt Sugar Vintage Highlight on Maple. A.E. 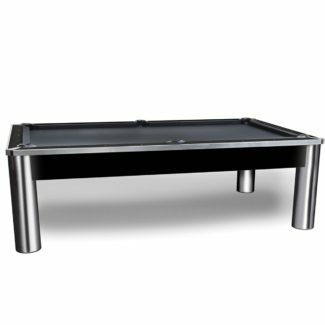 Schmidt pool tables are built with style and durability. Many custom options and finishing choices ensure your new pool table will match your dreams and exceed your expectations. Professional installation is key to having a pool table that plays its best. We offer premium setup for all makes and models. 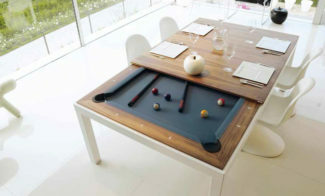 Your new pool table will be brought into your home by our (insured) and experienced team. We will position, level, and align so that you can play your best game of billiards. Delivery and Installation in the local Orange County, CA area starts at $300. Contact us for the most accurate installation quote. High quality standard cloth w/Teflon* in your choice of over 24 in-stock color options. Worsted Wool Cloth – Tour Edition for tournament style play. * Nearly all of our in-stock colors have Teflon. A few do not. Please check for availability. Protect your investment from sunlight, dust and spills. 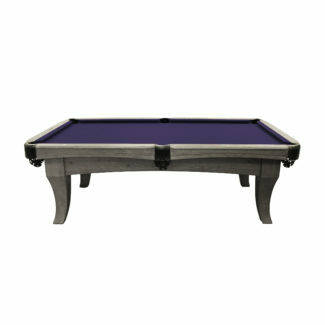 Our high quality, double stitched covers are custom made to fit the shape of your pool table. 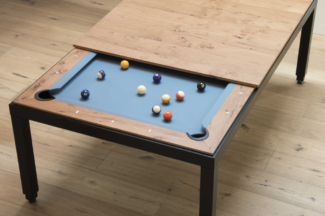 Add a table tennis top option to your pool table. Black with padded, non-slip foam bottom. Net, paddles, and balls included. Designed to fit 7′, 8′ and pro 8′ pool tables. Overhead lighting can reduce shadows on your playing surface, making it easier to see your shots. Consider a pool table light fixture to polish off your game room. Browse our billiard lighting selection to find a lamp that suits your taste and budget. A.E. Schmidt Billiards understands that buying a pool table is a large investment. 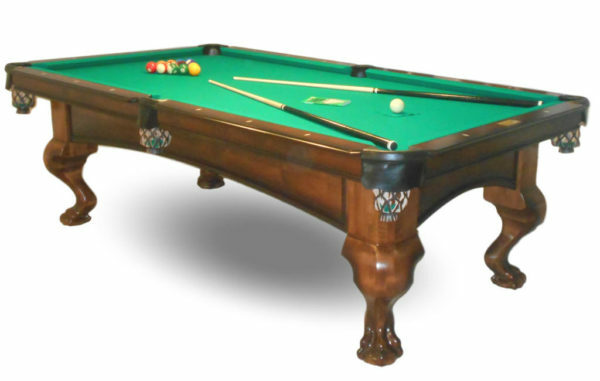 They create and perfect pool tables of exceptional quality, as they have for over 165 years. Your investment will be the centerpiece of family entertainment and leisure for years to come. We craft our tables as heirlooms, to be enjoyed now and treasured later for their exceptional play and timeless beauty. Brazilian slate, one inch thick, three-piece, diamond honed both sides. Frame members are made from 6/4″ thick solid wood or 1 ¼” thick plywood with a book matched veneer face. You can feel the difference in bulk by grasping the bottom edge with your hand. Schmidt tables have 66% more supportive material here. Solid frames are assembled with ¾” wood dowel pins. Standard veneer frames use 5/16″ steel pins. The blind and rail are glued together with Titebond and clamped to meld two parts into one unit that will never come loose. 3/8″ threaded rail inserts which we feel gives you far better resistance to over-tightening. This item is imported from Germany and costs four times that used by other manufacturers. As an added bonus, all rails are lined with hardwood on the bottom to add maximum strength and resist warping far better than conventional rails. Real mother-of-pearl sights imported from Germany, sanded before the rail is finished. A.E. Schmidt: We use a simple process from our lowest priced table to our most expensive. First, we sand all pieces to 400 grit consistency, and then we stain all parts with a penetrating oil stain. Next, we spray two coats of lacquer sealer and two coats of acrylic lacquer. Between each coat, we rub the finish with 400 grit paper, which leaves all parts feeling silky and smooth. A special high power resin glue which takes three hours to set up and 24-hours to cure is used, allowing time to make sure your cushions are deadly accurate. Plus, the cushions will not break loose from the rail no matter what kind of abuse it has had. In fact, we guarantee that it won’t happen within a ten-year period – and we are the only ones to make you this promise!